Who want’s to pay full price these day’s ? Not me and I’m assuming not you either! To help you save some money I’ve compiled a list of Sonicare coupons and rebates for October please share any other’s you find. 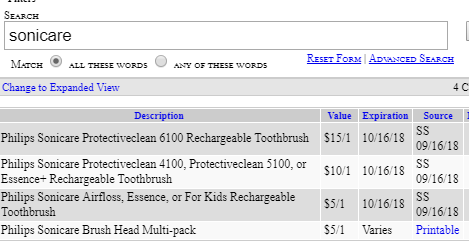 I started my search out this month by using the Database @ http://www.bargainbinbetty.com/bargain-bin-bettys-coupon-database/ I searched for Sonicare in the coupon database and it came up with four results. Including three smart source coupons which can be found in your local newspaper and a printable coupon from the manufacture. See table below for more details. 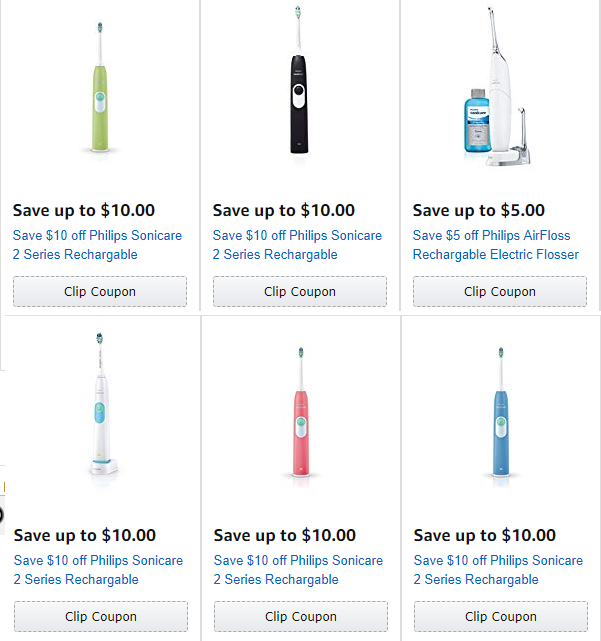 This month Amazon has six coupons available for the Philips Sonicare I’ve posted a screen shot of the available savings below. These will be valid until the end of the month so you’ve got plenty of time to use them. Next up I checked Costco for any coupons but came up empty handed seem’s they are only offering Oral b coupons this month in their flyer. 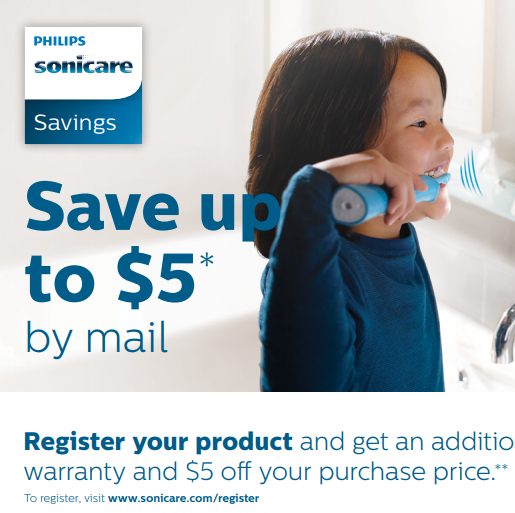 That said I did find this sonicare rebate that is valid till December 31st 2018 that will save you $5 off and get you an extra 6 month warranty!! That’s it for right now but I’ll add more as I find other deals! This entry was posted in Philips Sonicare Coupons, Sonicare Rebate Forms and tagged 2018, Sonicare. ← 3 Ways To Save On A Sonciare Electric Toothbrush For August!